5.7L V8 Hemi Engine Dress Up Decal Graphics Kit 5.7L V8 Hemi Engine Dress Up Decal Graphics Kit, MG 2404 Hemi Decal Kit, Charger 5.7L V8 Hemi Dress Up Decal Kit, Challenger 5.7L V8 Hemi Dress Up Decal Kit, Magnum5.7L V8 Hemi Dress Up Decal Kit, Ram 5.7L V8 Hemi Dress Up Decal Kit, 5.7L V8 Hemi Dress Up [MG 2404 Hemi Decal Kit] - $34.95 : 3rd Strike Performance, Your Source for Late Model MOPAR Performance Parts and Accessories! Description: Finally you can get a full kit of decals that have been precision designed to fit perfectly over your Hemi R/T engine cover and other interior engine components, including the air hose, air hose clamps and air box. Each graphic in our set was matched down to the finest detail. Our kit features elegantly rounded corners that makes for a factory finished look. Other competing kits have sharp square corners which look unfinished and cheap. 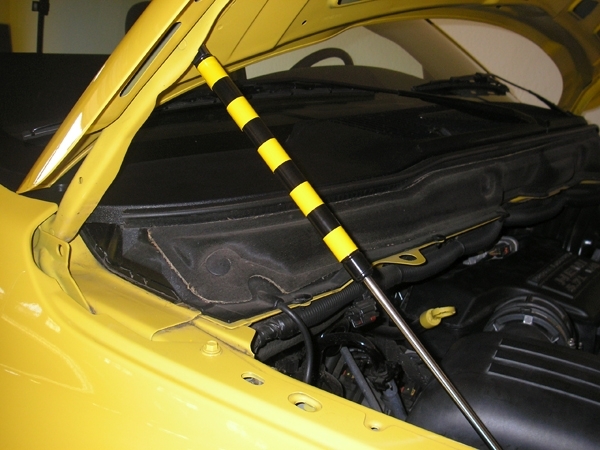 Our printers are industrially graded and spot color corrected routinely to ensure your engine cover decals will pop with vivid colors that will harmonize with your body color. Don't get stuck with generic and dull colored decals that other sellers have on the market, that can often times be poorly fitted, and use low gauge adhesives that won't bond properly to your engine cover. Disclaimer: This listing is only for a kit of decals and does not include an engine cover. Quality: Each decal is made with the highest grade, vivid high-definition graphics, on a heavy duty weather resistant vinyl. Over the graphics, each set of decals comes with a highly durable and clear protective finish lamination. The decals are washable, waterproof, and UV resistant. We use a proprietary, two layer, heat bonded process that provides extra durability. These are unlike any other decals on the market today! Our graphics kit is not just a roll of graphics, but each piece is contour cut as shown in illustration. Our decals are ready to install the moment you receive them. Installation: 5 minute quick install instructions included with each purchase. 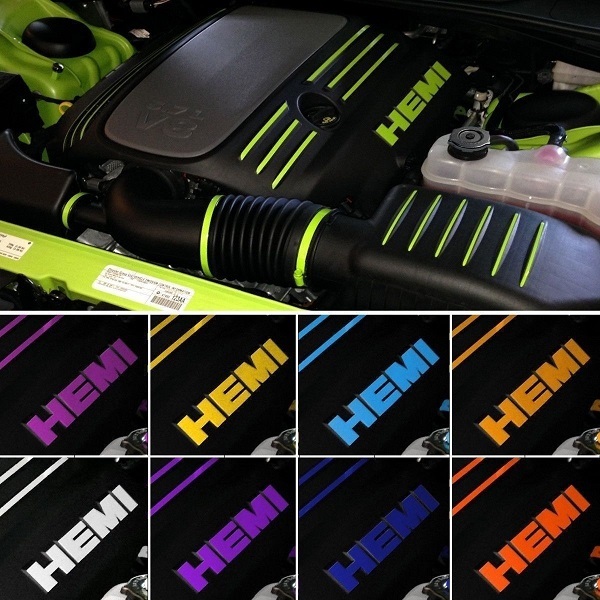 These Fit any other car or truck with a Hemi 5.7L engine cover.